He's actually controlling an MP3 planer with his eyes. There's no camera involved here, no optical recognition of any kind. 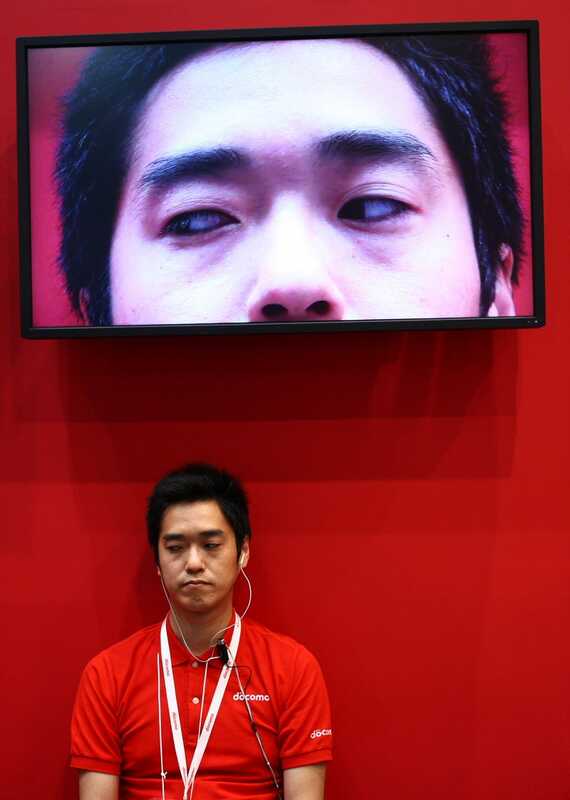 The two earphones inside his ears—developed by NTT DoCoMo—can detect the eye movement using electrodes so sensitive that they can detect how his eyes move—just by being in contact with his head.